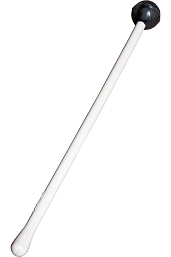 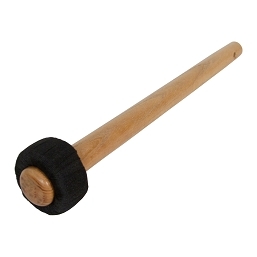 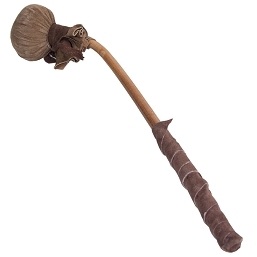 A mallet or drum stick is an object used to beat drums and other percussion instruments. 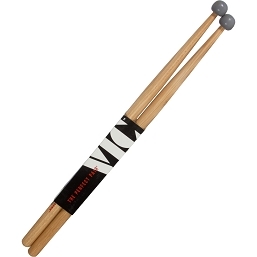 Some specialized mallets are called beaters, drumsticks. 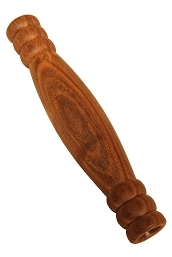 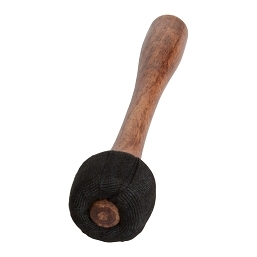 A mallet comprises a head connected to a thin shaft. 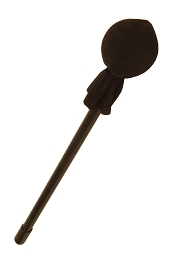 Unwrapped mallets, used on glockenspiel, xylophone and other instruments with keys made of durable material, have heads made of brass, rubber, nylon, acrylic, wood, or other hard materials; wrapped mallets, mostly used on marimba, vibraphone and other instruments with softer keys (though they can be used on more durable instruments as well), have heads of kelon, rubber, nylon, acrylic or other medium-hard materials wrapped in softer materials like yarn, cord or latex. 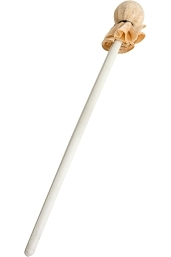 Wrapped mallets are also the mallets of choice to play suspended cymbal, though drum set players typically simply use drum sticks instead. 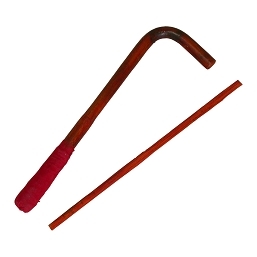 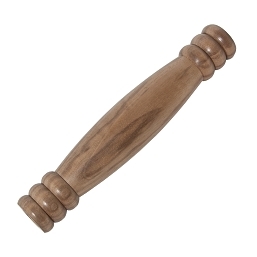 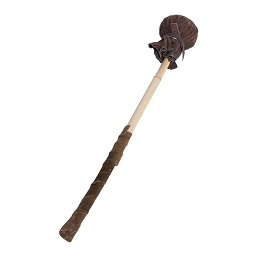 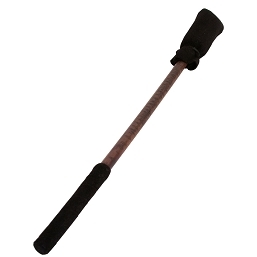 Mallet shafts are commonly made of rattan or birch. 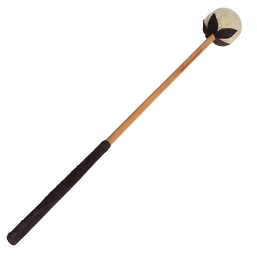 Different mallets are used primarily to alter the timbre of the mallet instrument being played. 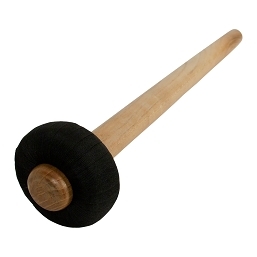 Typically, softer or thicker mallets are used on an instrument's lower registers and harder, thinner mallets used on higher registers. 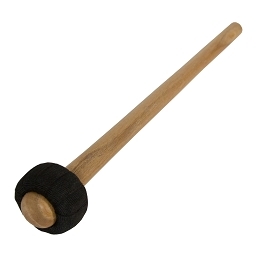 Mallet choice is typically left up to the performer, though some compositions specify if a certain sound is desired by the composer. 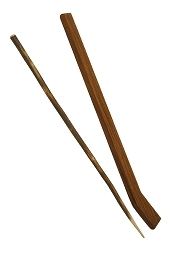 Players frequently employ two mallets in a matched grip or four mallets in a four-mallet grip; however, use of up to six mallets is not uncommon. 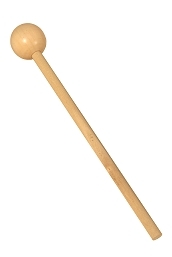 More than two mallets may be used even when no chords are called for by the composer so that the performer has a wider range of timbres from which to select or to facilitate performance of music that moves rapidly between high and low, and if hit properly can switch between the two pitches.